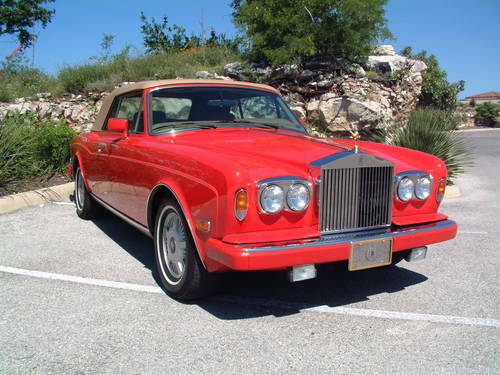 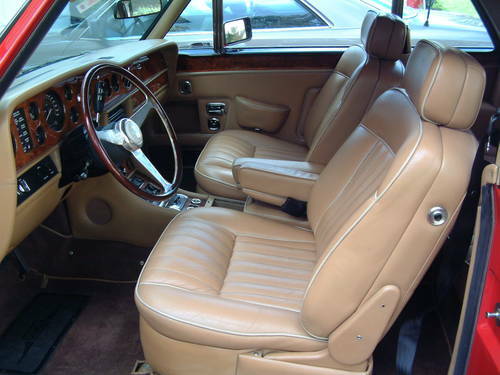 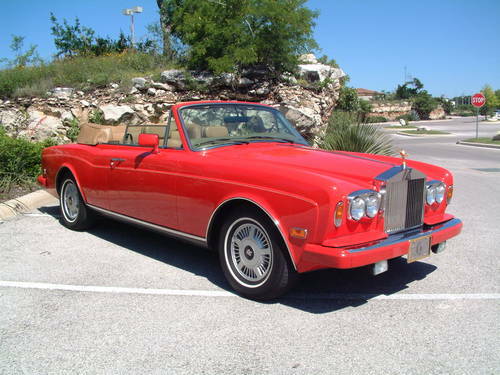 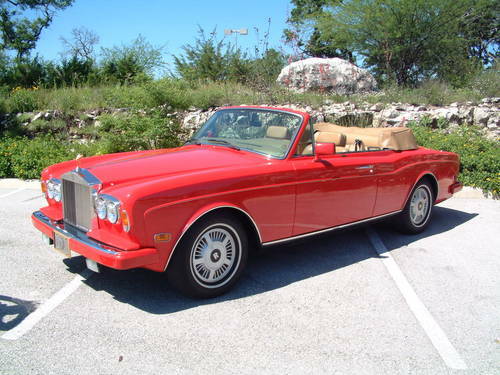 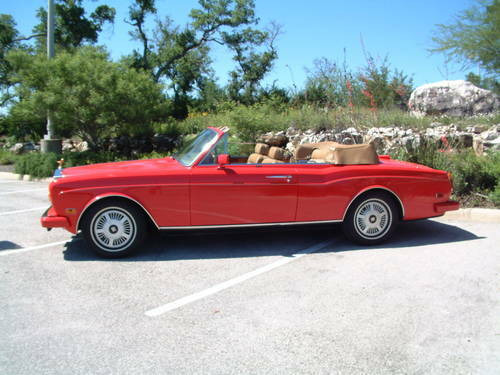 Rolls Royce Corniche Convertible Series II, Left Hand Drive, Tudor Red with Tan leather interior & Tan convertible top. 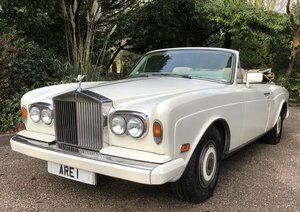 45000 miles, in excellent condition, well maintained, equipped with factory upgraded alloy wheels + wood rim steering wheel. 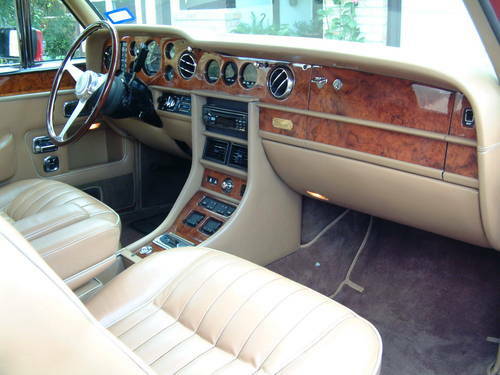 Price of GBP 53500 includes shipping/insurance to Euro ports.